Chris ‘Chez’ Chesak is Executive Director - North America/Oceania for the Adventure Travel Trade Association, which powers the consumer adventure directory at Adventure.Travel. He travels nearly 100 days a year, including to safaris in Mozambique, Namibia and South Africa. Whereas the typical, stereotypical image of a safari is one of khaki-clad people wearing epaulette-adorned shirts on a warm African plain, the truth is that ‘safaris’ these days happen in a wide variety of locations and climates and focus on a very diverse array of wildlife, including desert safaris that might seek out the local ‘Little Five’ (instead of the classic ‘Big Five’ megafauna) or polar bear safaris in the Arctic. For the purpose of this article though, let’s focus on the classic African, big-game safari. 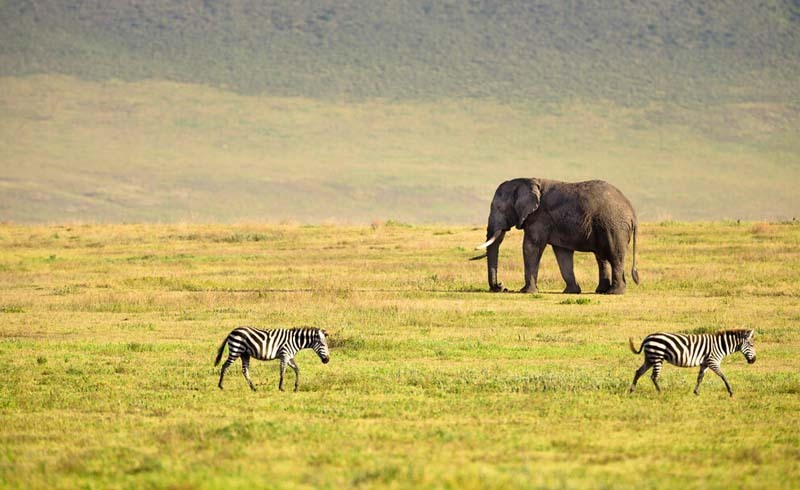 Safaris can be cold – Forget your stereotypical, idealized vision of afternoon safaris under a warm African sun. Early game drives can start with a 5:00AM wake up and have you in the trucks by 6AM in order to see animals when they are most active. While good lodges and guides will supply blankets, you need layered clothing, including windproof shell, pants, hat and gloves. In general, choose muted, natural colors rather than anything garish. Wear layered clothing that can easily be stripped off, because the heat will come once the sun rises up over the horizon. On the flip side, the evening game drive will get chilly once the sun retreats and driving out to a bush dinner or back to the lodge can be nearly as cold as it was in the morning. Carry a light backpack – More and more operators and lodges now offer more active safaris, including walking, horseback, and even mountain bike safaris. For these, a good travel backpack with a removable daypack, like the Ricon 65L, is a must. But even if you’re doing a traditional, vehicle mounted safari, you’ll use the removable daypack to store all your layers in, not to mention your water, snacks, camera gear, etc. If you do get out of the vehicle (only in specially designated areas and only when your guide approves it), having a light backpack (versus a shoulder bag or computer bag) is ideal. Use a ‘split bag’ – This is a lesson that I can proudly share with you from my ‘wish I’d known that beforehand’ file. 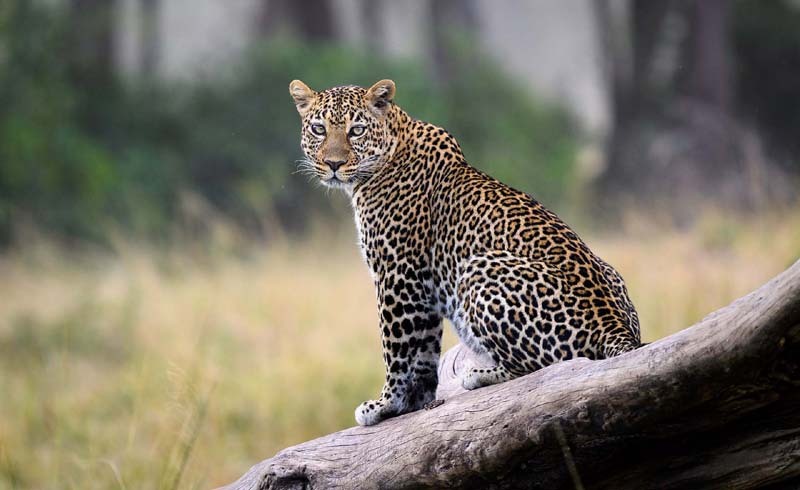 Depending on your itinerary, your safari may have you travelling by truck, van, overland bus, small plane, boat, or other conveyance from lodge to lodge, camp to camp. This is where a bag that can split into two, one like the Morphus comes in very handy. With a split bag, you can easily fill one side with various items that you won’t need for a leg of your safari (such as carry-on items like noise cancelling headphones, or perhaps nicer clothes for going out in an urban area before or after your safari), while packing a smaller, lighter bag for certain legs of your itinerary. This is especially key when doing a small airplane safari, when weight is at a premium. (And, it’s worth noting, for clarity’s sake, this situation only works when your itinerary will take you back to your original departure point, where you stored your bag, unless your safari operator can forward your bag ahead). Don’t pack khaki–or anything with epaulettes – Don’t be ‘that person’, the one that clearly went to a store and bought something called ‘The Safari Shirt’. Let the guides and lodge staffers do the khakis – and the epaulettes too. If it screams ‘Hey, I’m on SAFARI!’ then don’t do it. This also goes for photography vests as well, in this digital age. And if you have to even ask about pith helmets… well, just don’t. Share your safari tips with us below.